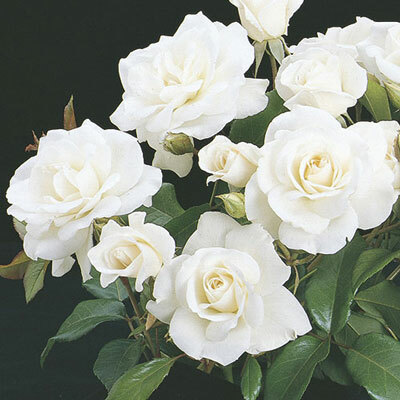 Of the top ten roses of the world and the best landscape white around, Iceberg is extremely disease resistant, vigorous and floriferous. The long pointed buds and crisp white flowers are borne in great profusion with the least of care. The bushy rounded plant is robed in dark green foliage. Great for hedges. Hardy & floriferous. Best in mass planting. Available budded & own-root.